Dubbed capo noir. That just means black capo, but we wanted it to sound a little jazzier, because it does look pretty jazzy! It is exactly the same as our original capo, but finished in black chrome. 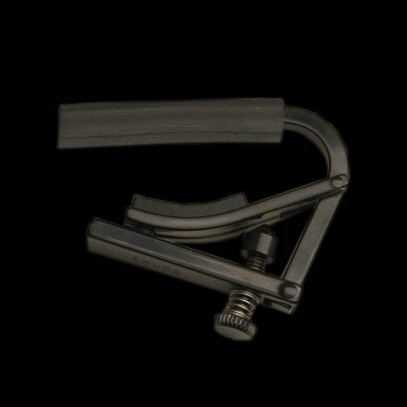 Ideal for guitars with black hardware, or for anyone who wants a sleek looking capo that is very inconspicuous onstage.